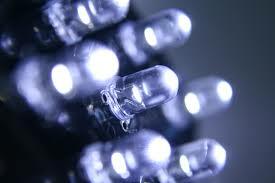 What is the reason that LED’s are becoming so popular…?? At first, high end cars used them as rear end brake lights, though you may feel that it was done to add some artistic quotient to mean machines but this involves some simple calculations to derive some really mind boggling results in terms of decreased illumination lag time, highlighting their importance as rear brake lights. Now you can see them invading your homes, shops, here-there and almost everywhere. The point I am discussing all this about LED’s is to highlight the fact that uses of LED’s are only bound by our imagination. I recently used a LED as a trouble-shooter while my multimeter was down. I had to repair a casio. My niece, 4 years old, was done with her experimenting with it and it was my turn to get music out of it. So as I unscrewed the casing and scrutinized the PCB for some fireworks, I found nothing. Everything seemed fine, shiny cooper tracks, no wire connection broken..etc. Then where is the problem… Biting my nails….!! …..In CoB (Chip on Board..the black blot on PCB’s)..??.. Yay..I got the weak link. It was the speaker that had gone bad. I had one in my spares, so replaced it quickly, soldered it. And it worked well. I learned to work out things with limited resources and a little improvisation. And interestingly found a new way to use LED. So keep playing with them because it’s defiantly something more than just a p-n junction.